Do you like to shop for babies? Your own, or friends & relatives with wee ones? 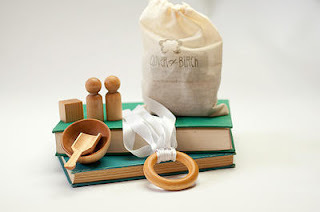 Or you have a baby shower coming up that you need the perfect gift for? My little baby days may be over, but I have friends with little ones and I absolutely love shopping for baby gifts! Wrapped Up is Atlanta’s first babywearing and natural parenting retreat. They just launched their online store, and the brick and mortar store will open later this Fall. Wrapped Up is gonna be a wonderful addition to our local shopping choices! 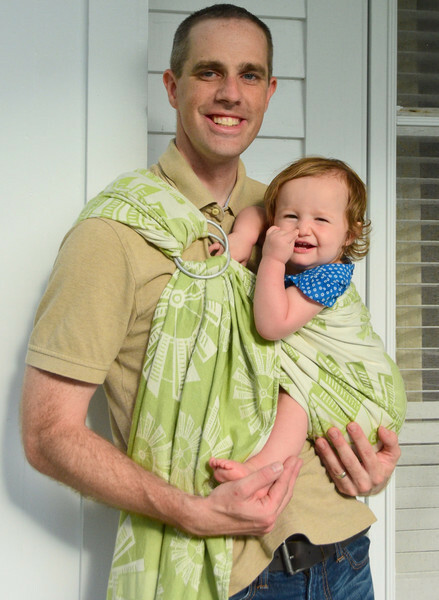 WrappedUpAtl.com offers high quality products that appeal to the growing eco-conscious parenting niche. 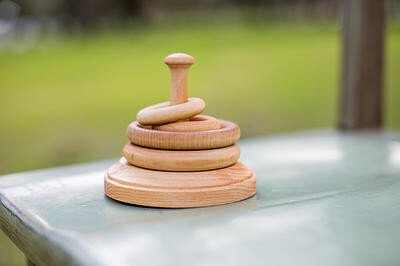 The online boutique has carefully chosen stock from wooden toys and teethers made by hand, stainless, silicone and glass food storage and various types of carriers for babywearing. The women behind Wrapped Up arrived at the brands and products through personal trial and error, discovering a need for such a boutique along their own journey into “Mamahood” as the site’s blog would describe it. The owners have made a point to procure several local brands, also developed and run by parents, in the Atlanta area. Sharon Letsinger and Jessica Wall had a chance encounter at a babywearing meeting in Atlanta, quickly discovering that their sons, born two days apart, share the name Paxton. Soon after, they also realized they shared many of the same philosophies and struggles with natural parenting. The main issue was finding readily available, “ideal” parenting products. Their friendship and mutual desire to spread the babywearing and natural parenting love, brought them to start Wrapped Up - Atlanta’s first babywearing and natural parenting retreat. The Soothe Shirt is a carrier, nursing bra and tank top in one - so cool! Why didn't they make these when my kids were babies?! 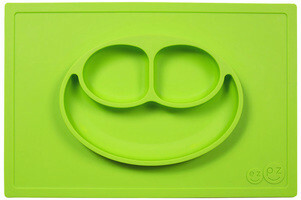 ezpz Happy Mat - BPA free, dishwasher safe! Such beautiful baby products! I enjoyed browsing through their online store and can hardly wait to visit their retail location later this Fall! 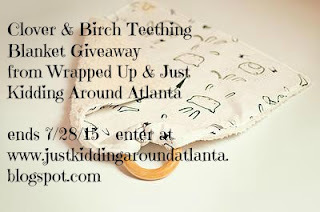 How would you like to win a Dear Stella Teething Blanket from Clover & Birch? The ladies at Wrapped Up would like to give one of my readers this adorable teething blanket, pictured below. All you have to do is enter the giveaway through the rafflecopter widget below! Thanks to Wrapped Up for providing the prize for my winner. 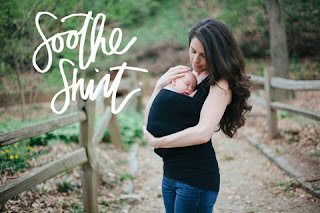 No compensation was received, I just really love the idea of a new store for Mamas and wee ones like this and wanted to share! I just love the Baby Bits! We use Baby Bits for our cloth wipes! We also really love Clover and Birch toys! We had the pleasure of meeting the Clover and Birch team in April at The Great Cloth Diaper Change in Marietta! I'm so excited to see a new company that caters to my parenting style! I love a lot of the products you carry. It's hard to choose a favorite. I guess if I were to choose just one product it would be the Tekhni Delta Canyon wrap. The colors are so bright and vibrant, and lately I've really been loving all things rainbow! I can just imagine wrapping my little guy up in this and taking a walk. I love the hardwood teethers! 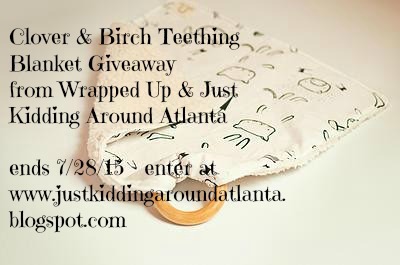 I really love the teething blanket that you're giving away, the print is so cute! I also like their building blocks! So many great choices! I really like the Bijou Wear Windmills High Plains wrap!!! They have a good selection! we're avid wrappers here and nunamoochie mehndi and tekhni olympos have lived here too and they're fantastic! The hardwood teethers are my favorite! I really like the LILLEbaby Complete All Seasons Carrier. I love the hardwood teethers. So many beautiful wraps!!! The Lalu Wovens Demoiselle Cinder is my dream!!! SO beautiful!! Wow, I really love their site. There are so many beautiful baby items there!! My favorite item is the LILLEbaby tokidoki Complete All Seasons Carrier!! The Allspice and Amber EXTREME Ultimate Teething Necklaces is my favorite. I love all the colors they come in! I like the idea of the Soothe Shirt. I want to wear my baby as much as possible. Love the Comfy Joey Linen Ring Slings! 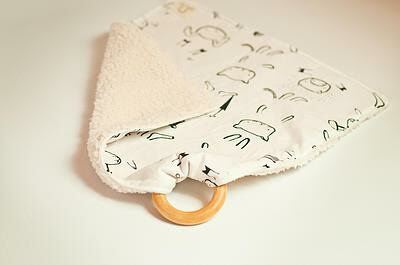 Teething Blanket in the Range design is what I like because it catches the drool when baby is biting the ring. I like that they have a natural toy cleaner with citrus oils! I love the stacking rings! They would be fun. I like the Tekhni Delta Gothic 55% cotton, 45% Repreve. Wrapped up has so many great products in their store. 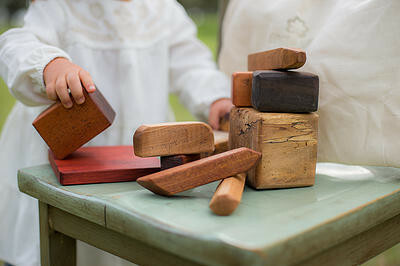 I especially love the rustic look of their Building Blocks. The different colored hardwoods are beautiful! I just love the Organic "Stomp" ecoCap. It is darling! 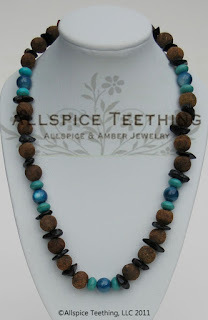 The store has some other wonderful items also. The Animal Matching Busy Bag is so cute! I like the Baby Bits™ Natural Wipes Solution. I really like the Wool Dryer Balls. I would love to have these. I like that they carry Smart Bottoms diapers; they are one of our favorites because of the organic cotton soakers. I like the AnaMalz. They are all so cute. I like the Bug-a-boo bug spray! I love that they carry the ezpz Happy Mat, it is so perfect for families doing baby led weaning. Those AnaMalz are so cute! I'd love to add some of those to our toys! So excited to be your winner! Thank you so much!